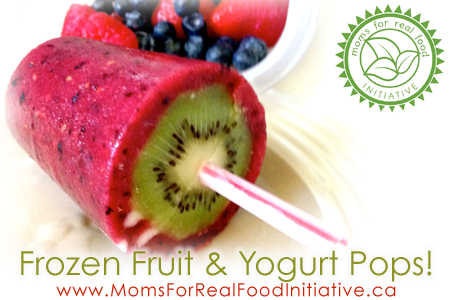 Frozen Fruit & Yogurt Pops – Moms, For Real. Canadian Mom Bloggers. Real Healthy Living. 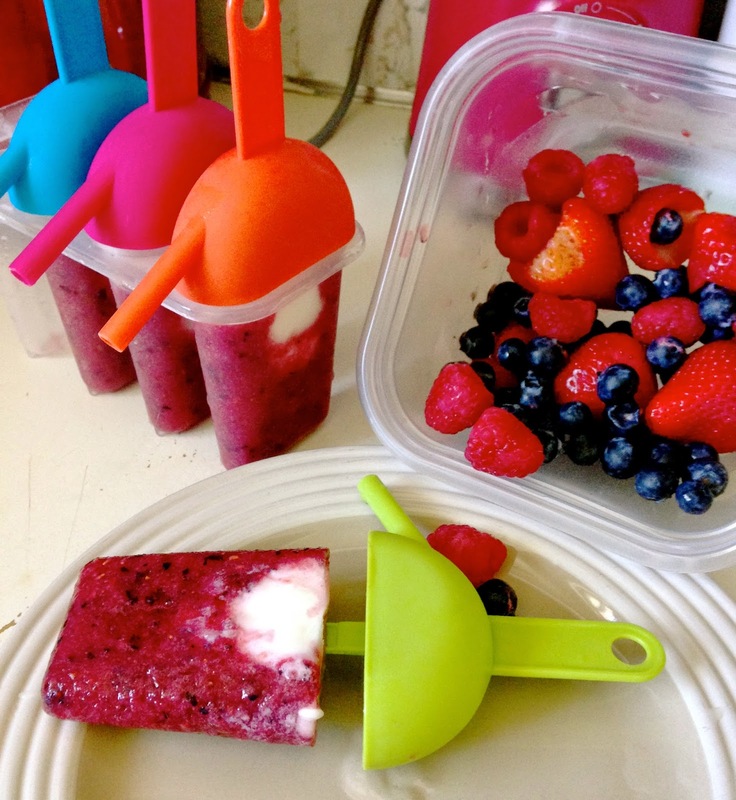 Everyone LOVES Popsicles! 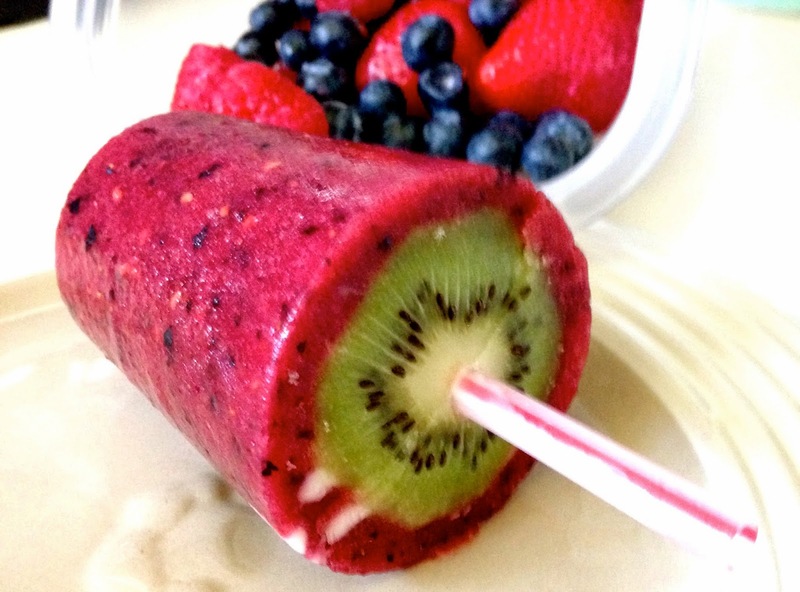 But unfortunately store bought pops and ice-creams are loaded with refined sugar, dyes, preservatives and not-so-fresh fruit-like-substances. Some of them even “May Contain” wheat, soy and nuts. 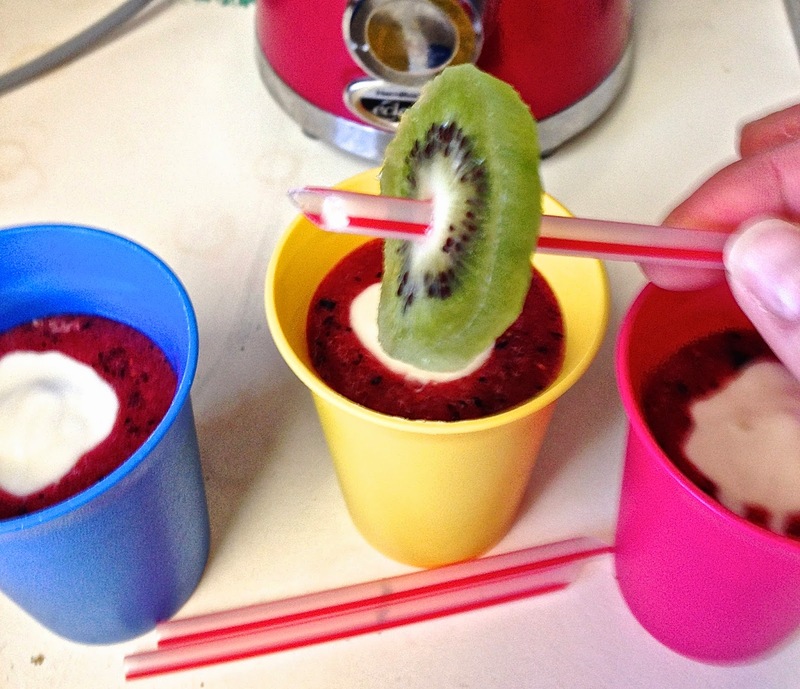 THE best way to avoid all that, and as per Moms For Real’s motto – is to make it yourself! And, it’s totally easy. 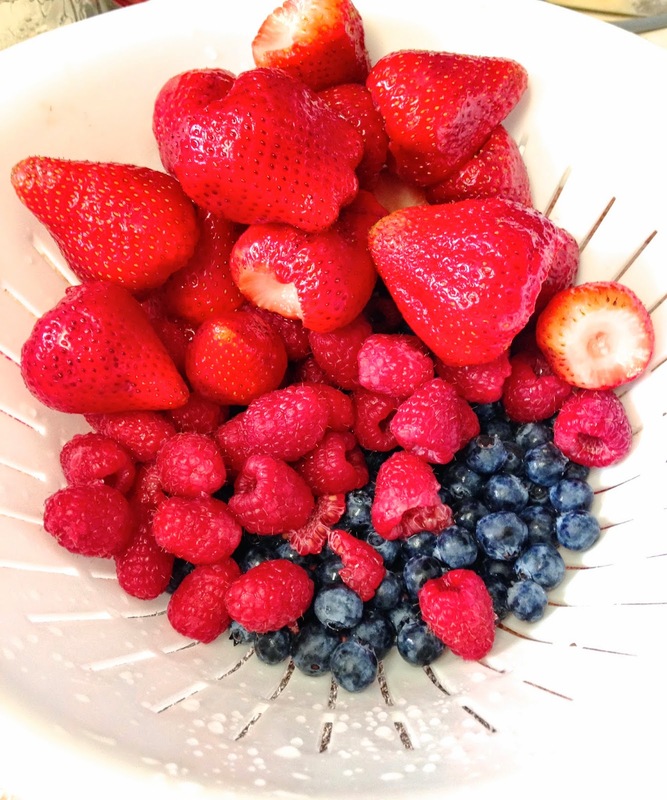 Start with your favorite fruit – we used about 1/2 cup each Blueberries, strawberries and Raspberries. 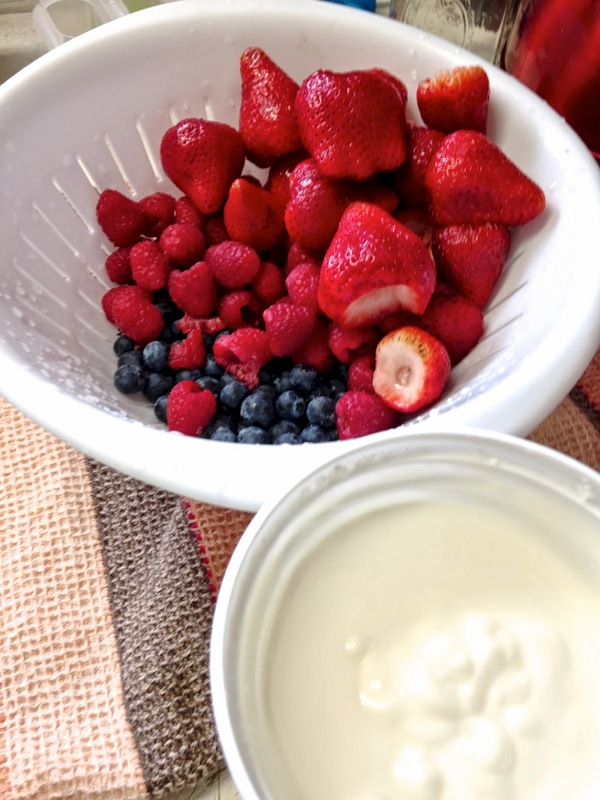 We also used organic, vanilla yogurt. 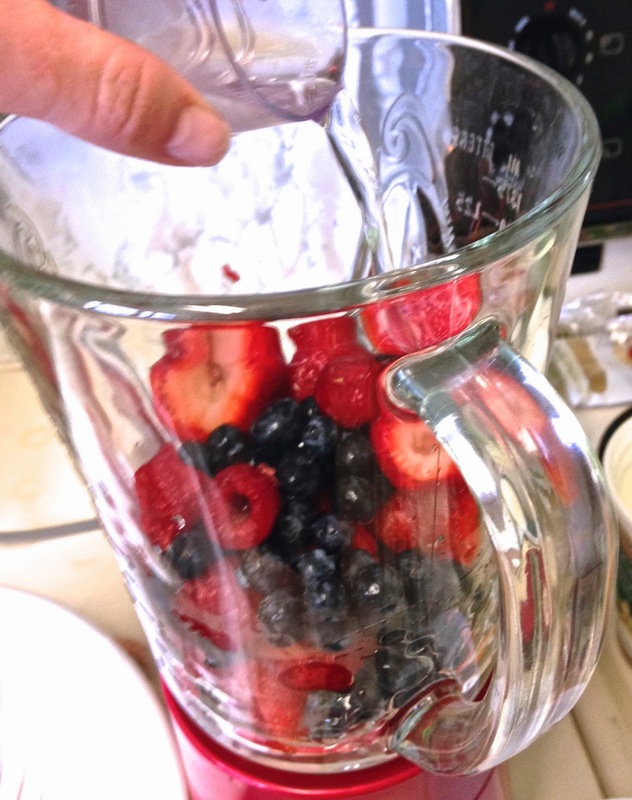 Because berries – in particular – are less watery, we added 1/2 cup of water. This also helps solidify the freezing process! 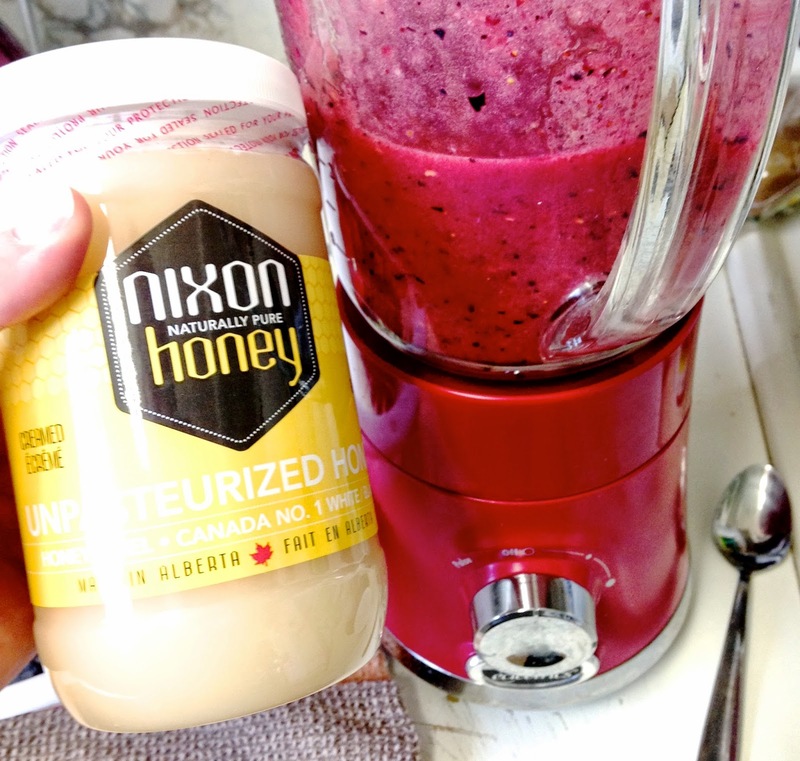 If you or your kids find it too tart – add some honey, or berry sugar. Try to stay away from refined sugar. Also, remember the yogurt is sweet. One set from the store, the other were Tupperware cups! 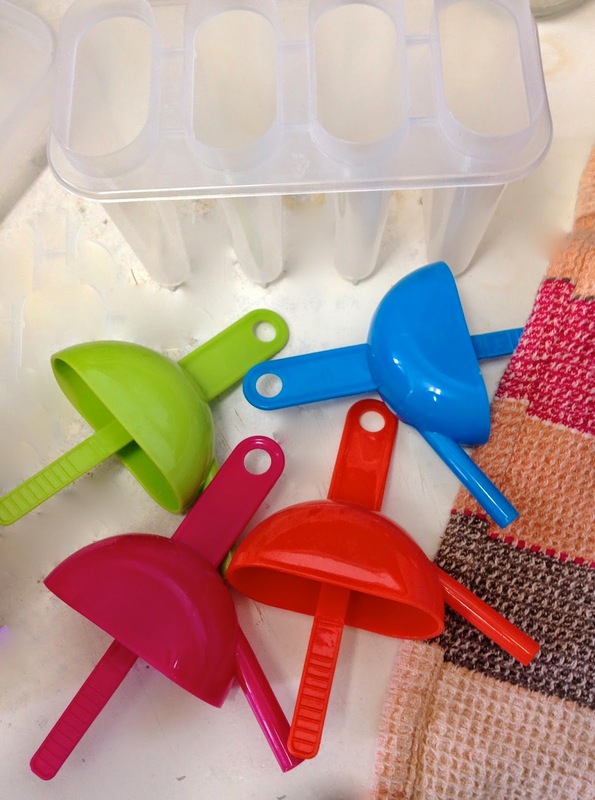 We used juice box straws for the cup molds. 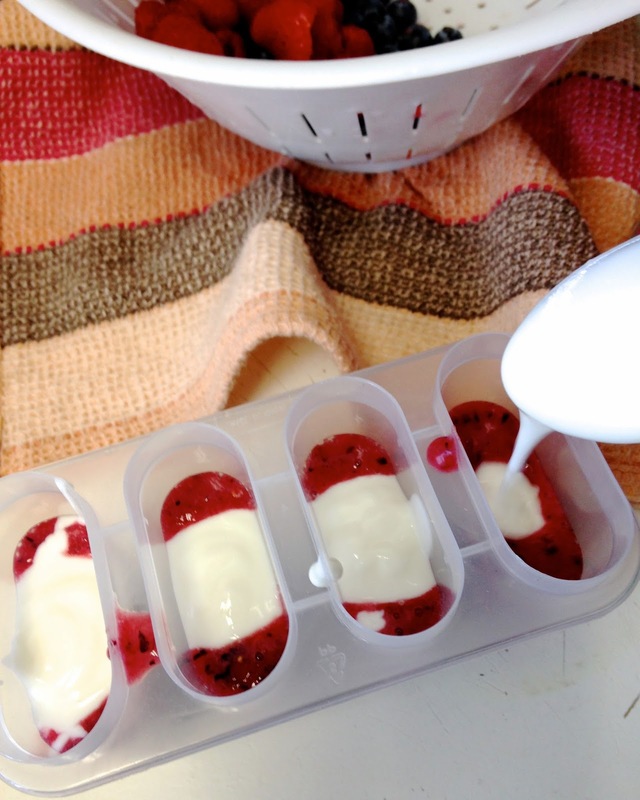 Pour in your puree, top with yogurt. 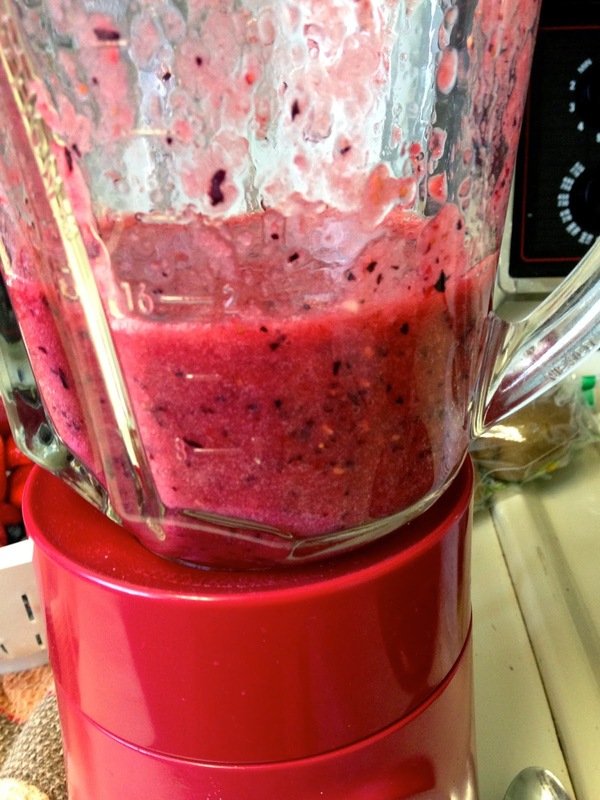 Fruit does not expand the same way water does, so fill ‘er up! 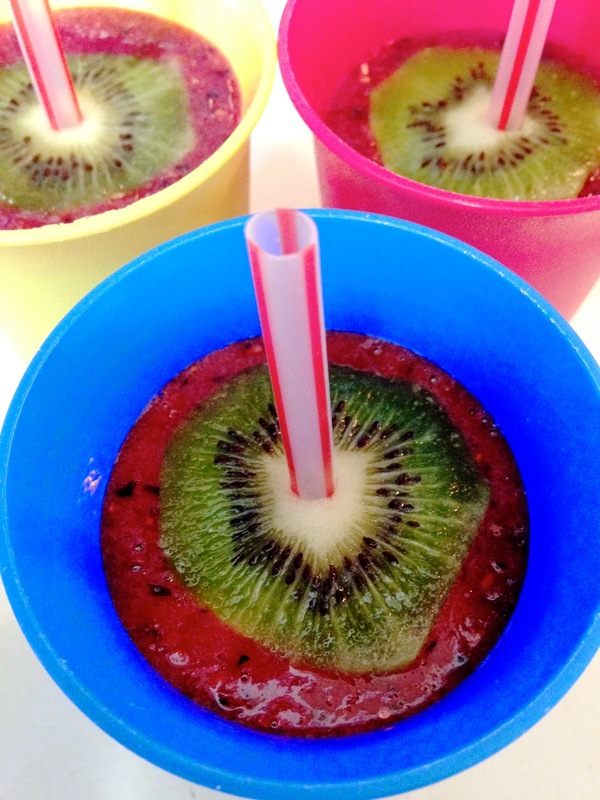 We used kiwi’s as a a straw stabilizer for the cups. In roughly 3-4 hours you have THESE BEAUTIES!